SKY ENTERPRISES OFFERS RICOH SP 3400/3410 Toner Cartridge ChipRICOH SP300/SP111/SP200/SP100/SP310 TONER CHIP FOR RICOH MODELS RICOH SP C220/230/231/240 TONER CHIP AND COLOR TONER POWDER. IT GIVES SUPERIOR QUALITY WITH REASONABLE PRICE . Available for wide range of printers. Our organization is involved in manufacturing and supplying an extensive range of superior quality Cartridge Chips which can be used with a variety of printers and photocopiers. These chips are provided with the finest quality fuse and provide accurate results for a longer duration of time. Our array is widely known owing to its reliability, durability and competitive rates. 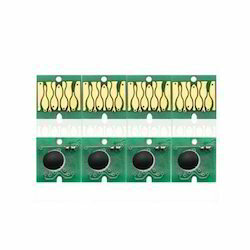 We have chip for all running model cartridge for samsung, xerox, lexmark available in both colour and black. Category : Computers & AV Digital.